The Malawi project at The Grammar School at Leeds (GSAL) has received a boost thanks to a charitable donation that will fund a daily meal for vulnerable children and adults in the Thyolo region. For over 30 years the school’s students and staff have been supporting communities in Malawi by raising funds, donating goods and giving practical help, under the leadership of retired deputy head Barry Brindley. 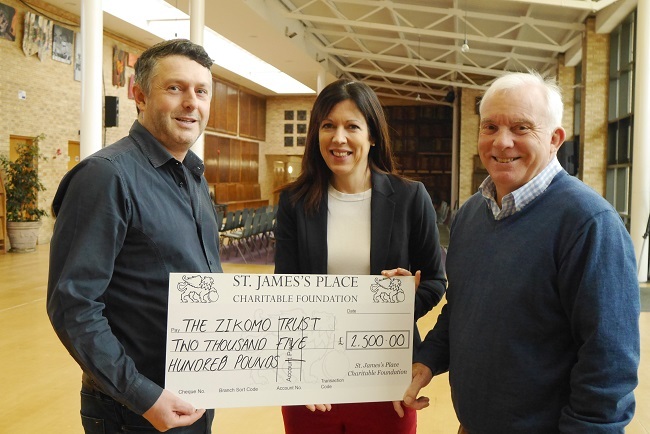 The Zikomo Trust, the charity set up by Barry to support projects in Malawi, applied to the St James’s Place Charitable Foundation, which agreed a donation of £2,500 specifically to support the costs of the Malama Feeding Centre and Nursery. Every day the centre provides a meal for over 100 elderly people, as well as clothing and blankets. In addition around 60 orphans and disadvantaged children are fed at Malama every day and attend nursery. It costs £15 to feed a child for a year, so the donation will be hugely valuable to the centre. The Zikomo Trust also provides scholarships to some of the orphans so they can be cared for and educated at boarding school. This summer 44 students will be visiting Malawi for a three-week tour, with Barry Brindley and a team of GSAL staff. The aim of this biennial tour is to deepen their understanding of the people, culture, geography and problems of a developing country, whilst delivering practical assistance. The students will be based for a week at Kamuzu Academy, the school where Barry taught for six years, a further few days visiting a game park and Lake Malawi, and the final week will be spent in the south in Thyolo region, including a day at the Malama Feeding Station and Nursery. The students will also put the finishing touches to six newly built classrooms in primary schools, funded by the Zikomo Trust, by painting the Malawi national curriculum on the walls. Pictured (L-R): Martin Teal of St James’s Place Charitable Foundation with representatives of The Zikomo Trust Orla Weaver and Barry Brindley. Visit our Facebook page to see photos from Malama.